Our four private Bothies each have their own unique character, and can be used alone or combined to make a larger private space. 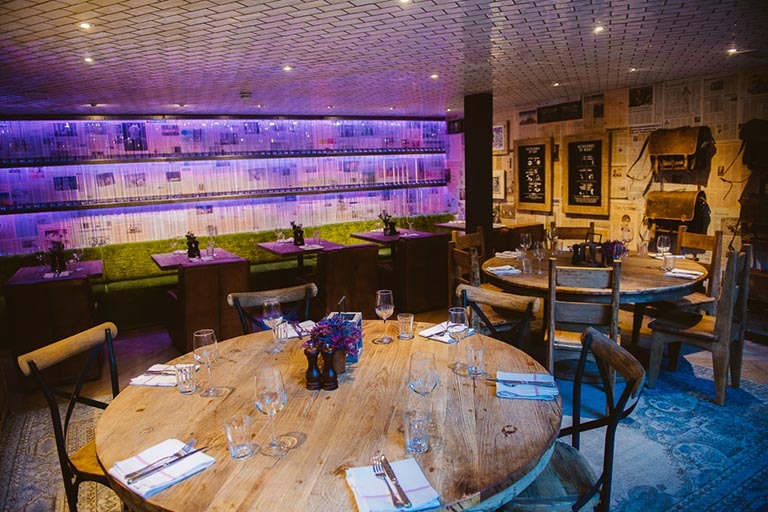 Each one sits between 8 and 12 people, and they can be combined for conferences and private dining for up to 60 people. If you would like to book into one of our bothies please give us a call 01334 466 973. 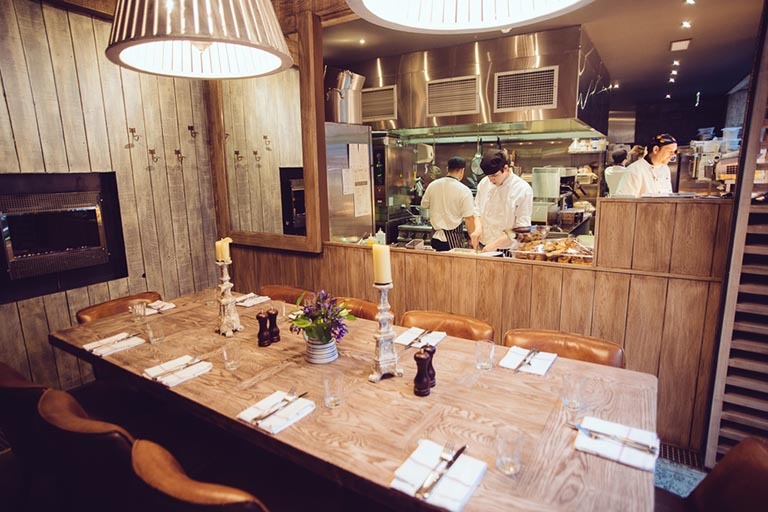 Your own private space with a view of the chefs. Sit back, relax and watch them prepare something special for you. Get cosy with friends by the fire and enjoy a wee read from our library or a game of chess. 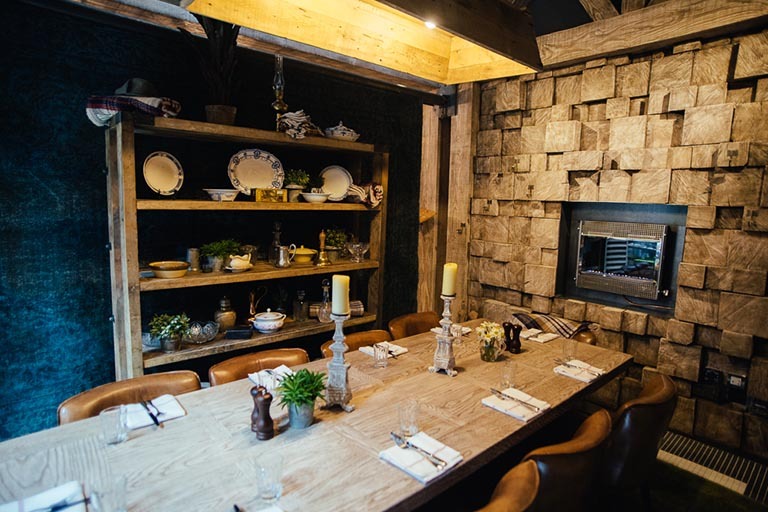 Soft carpets, exposed wood, comfy leather seats and a roaring fire all make the snug perfect for an intimate dining experience. 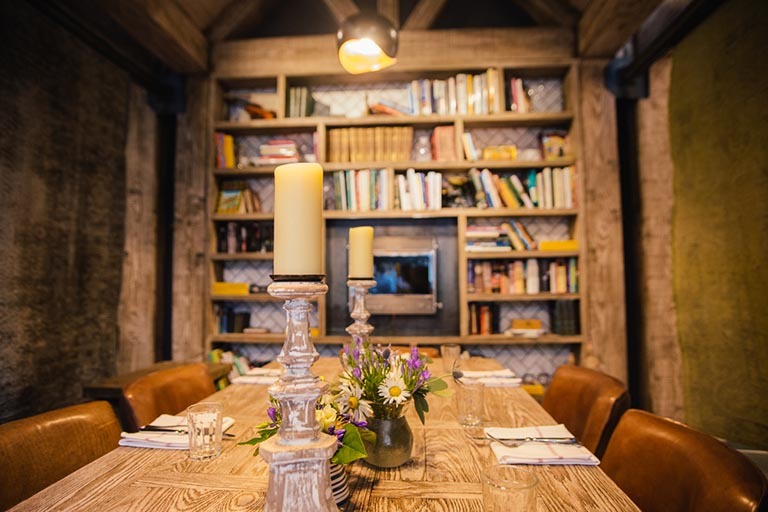 Tucked in a cosy corner, gather round the table and enjoy a great view, great food, and have a nosey at our collection of photos gathered up over the years. 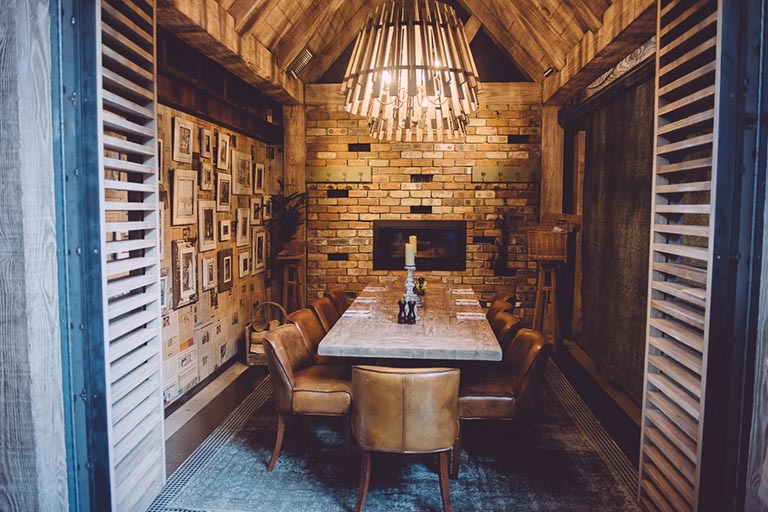 This space is perfect for larger parties, with leather chairs, solid wood furniture and folding glass walls. A roomier area, it can comfortably fit up to 35 people, and benefits from complete privacy, including its own loo.